Resection: The surgical removal of all or part of the tumor. Amputation (for bone tumors): The removal of part of a limb along with the tumor. Limb-sparing surgery (for bone tumors): Removal of the cancer in the bone without amputation. Rotationplasty (for bone tumors): A portion of a limb with the cancer is surgically removed, while the remaining portion of the limb is rotated and reattached. Typically, the child’s ankle joint becomes his knee joint. A child with a bone tumor or soft tissue sarcoma may undergo any one of these treatments or a combination of them. The Aflac Cancer Center is committed to advancing research and medicine by developing new techniques, treatment and cures for children and young adults with bone and soft tissue sarcoma. We are home to one of the largest clinical trial programs in the country—offering our patients access to some of the most novel treatment options in the country. We are home to one of the leading childhood cancer programs in the country. Combining the latest proven technology and research with a caring, child-friendly approach, makes the Aflac Cancer and Blood Disorders Center a top choice for the treatment of childhood brain and spinal cord tumors. 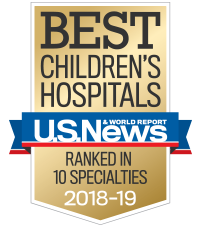 Our team is experienced and highly skilled in treating children and young adults with all forms of sarcomas—from the most common to those rarely seen outside of the top pediatric centers.